“Join us for an afternoon of engaging conversation and networking as we bring artists, funders, curators, creatives and sector practitioners together to explore how Black art, identity and liberation work converge – and the role we can all play in making that possible! 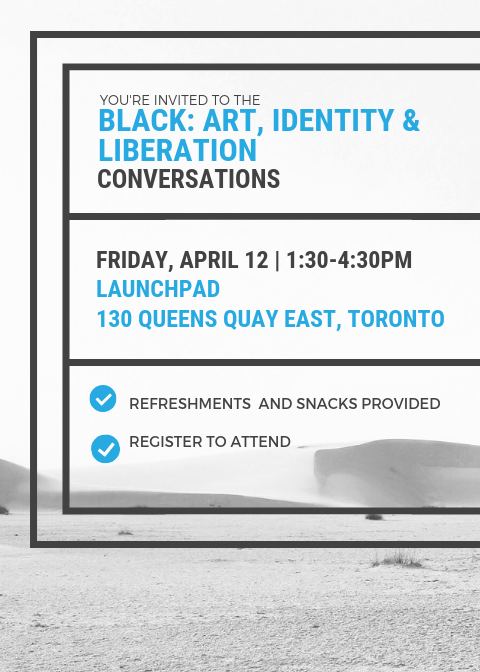 The conversation will be facilitated by Rania El Mugammar who will be joined by Black artists, educators and practitioners including Anique J. Jordan, Ekow Nimako, Dainty Smithand Dori Tunstall (Dean of Design, OCAD/the first Black Dean of Design anywhere). See their bios below! Following the panel, there will be an opportunity to network and explore the space. Many thanks to Artscape Launchpad for sponsoring the event. For more information, please visit Youth Opportunities Fund’s event page.